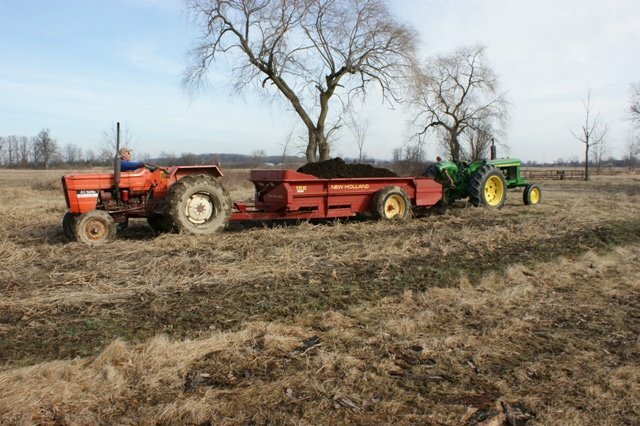 Before the weather turned to the winter side, Richard spent the day filling the manure spreader and laying a nice layer of nutrients over a couple of gardens; at least the ones we didn’t get stuck in. 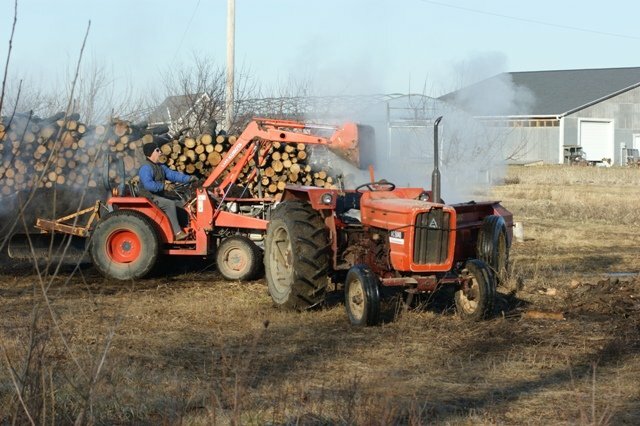 Fill, fill, spread, spread, get stuck….pull out; fill, fill spread, spread….get stuck. And so it goes. This is from last week before the weather turned. We were lucky to get this day in, however the fields were wetter than we thought. 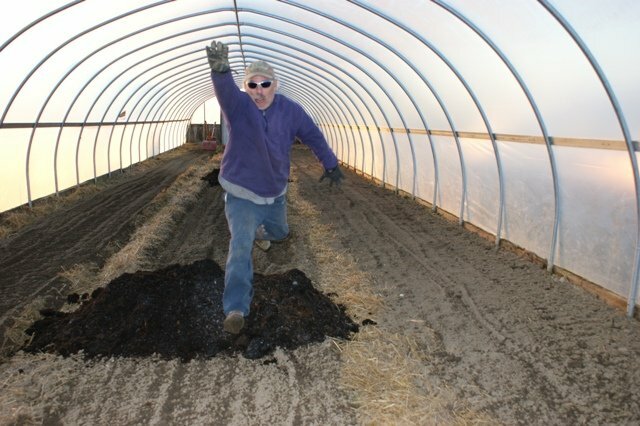 Able to leap over manure piles in the greenhouse. 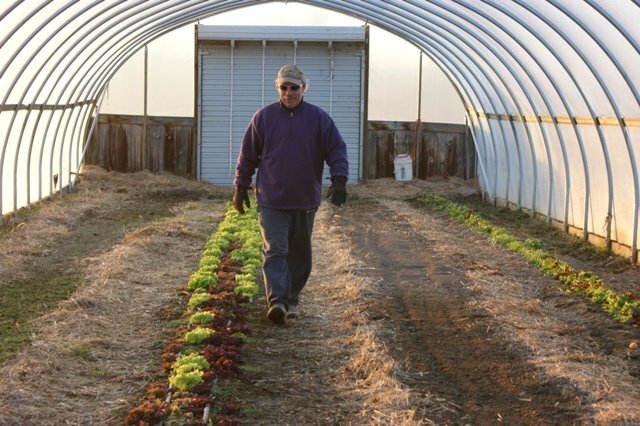 The last of the lettuce from fall plant. We won’t overwinter this house. 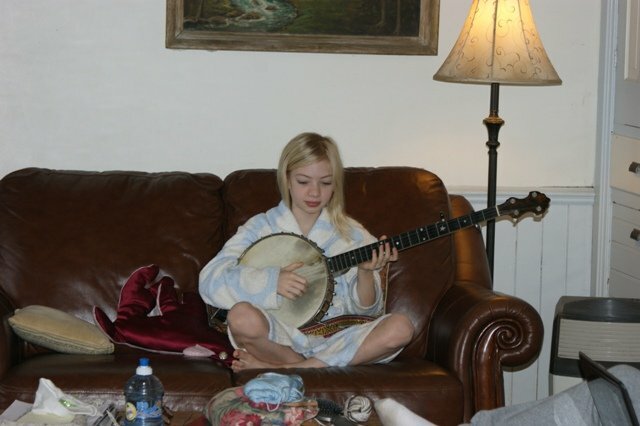 Taylor is learning how to play the banjo! An instrument everyone should learn to play! Thanks for all your recent inquires about the 2012 CSA. We will finish with the seed orders this week. It all begins very soon. 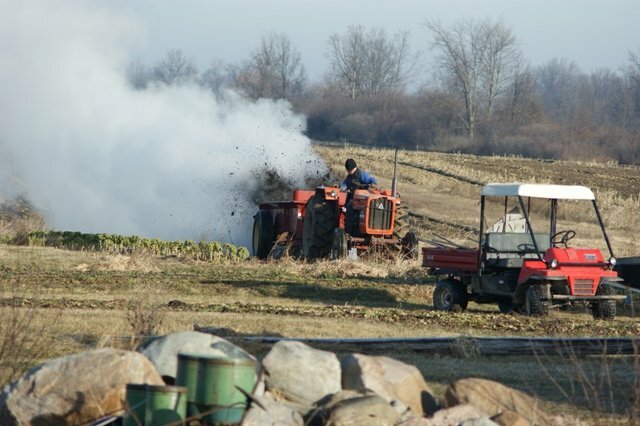 Previous Previous post: We get compost and drainage work begins. Next Next post: The 2012 CSA Membership form is on the website!! !